Why do so few singers have industry-quality recordings? 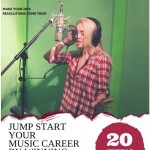 Home studio’s promise quality recordings but often fall short of what is available from professional recording studios. Unfortunately, when newbees visit a recording studio for the first time, to make something they’re proud of, they often leave with something that feels rushed. DogManic Recording Studios takes their time to get on the same page as their artists before charging for any audio services. They believe that capturing a great vocal performance is like getting the right brush stroke from an artist, it has to feel spontaneous and natural! In an effort to encourage local talent to take the next step in their careers, DogManic Recording Studios is giving away over $2000 in studio time. 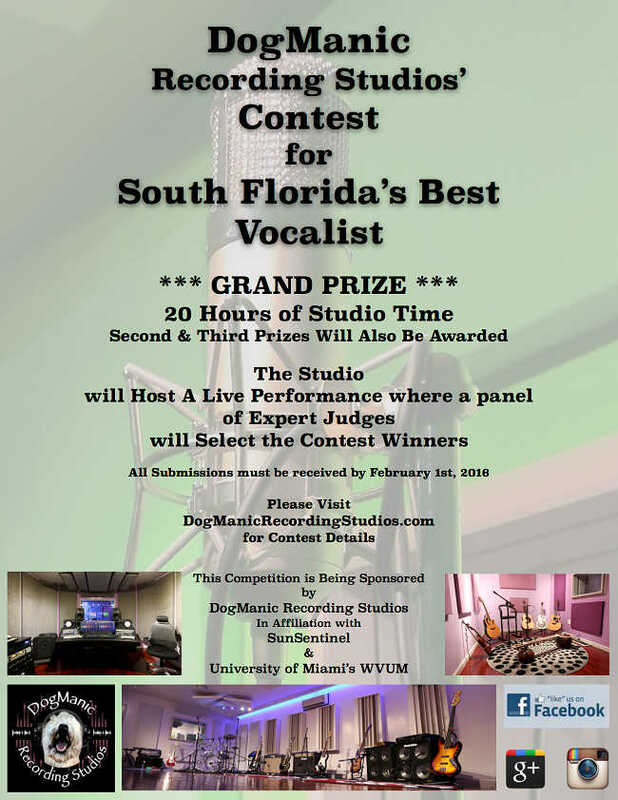 The Contest for South Florida’s Best Vocalist will help “put down” an EP’s worth of studio time for an ambitious artist to pick up and run with. The submissions deadline is February 1st. 10 finalists will be notified by February 7th that they can come perform at the live studio competition on February 21st. The finalists will come into the studio on February 21st to perform live for three well-qualified judges from across the musical landscape. Sun Sentinel’s Nightlife Reporter Talia Medina, WVUM 90.5’s DJ Alex “Far Out” Faron and Multi-Faceted Broadway Singer Rachel Klein will listen from the blind control room as each finalist takes their turn singing in DogManic’s main performance room. 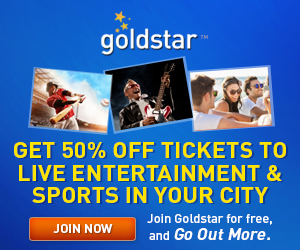 With so much to gain and nothing to lose, this is the perfect chance to support local talent! Jump at the opportunity and submit an audition today via a very easy to use form which requires contestants to submit an mp3 file via DogManic’s special link on their Facebook page!